STAR WITNESS (AUS) (Chestnut 2007-Stud 2011). 4 wins-3 at 2, VRC Coolmore Stud S., Gr.1. Sire of 236 rnrs, 129 wnrs, 10 SW, inc. Global Glamour (ATC Flight S., Gr.1), Star Turn, Mella Maria, Fuhryk, Crown Witness, Lord Balmoral, Lycurgus, Pearl Star, The Barrister - High Volatility (H.K. ), Well Sprung, SP Kimberley Star, Magic Alibi, Serenade, She's Our Star, Rare Occurrence, Lineker, Stellar Collision, Typhoon Witness, etc. Bear Witness (g. by Star Witness). 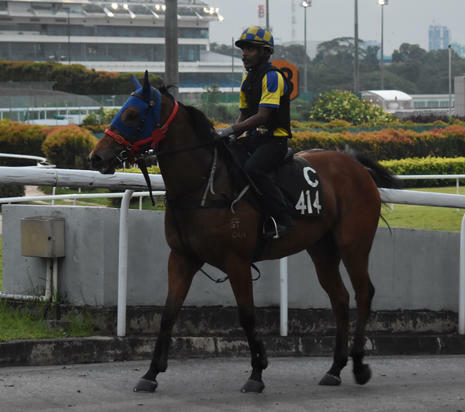 2 wins at 1200m, 1400m in 2017, Singapore TC Kiwi Karma S., Any Humour S., 2d Singapore TC Class 4 H., 3d Singapore TC Novice P.
Magic Train Ride (f. by Magic Albert). Placed at 3 in Aust. Miz Winfrey. 2 wins at 1200m, 3d QTC CE Risk, Safety & Security H.
Train Wreck. 4 wins. See above. Rutherglen. 3 wins-1 at 2-from 1300m to 1600m in Aust. Brisk Zak. Winner at 1400m in Aust. MATRINAMAN (Racing is Fun). Winner at 1600m, NSW Tatt's RC D Dransfield H., L, 2d AJC Minoru H., STC Ingham Loveem H., 3d AJC Dulcify H., L, Dawn Fraser H., Heckenberg H., 4th STC Gloaming S., Gr.2. Zirascible. 3 wins. See above. Racing Marvel. 3 wins to 1500m, MVRC BMW Australia H.
Bold Trooper (Moss Trooper). Winner at 1600m, 2d MVRC St Magnus H., 3d VATC Stanley P., L.
MERCATOR (Sea Anchor). 9 wins from 2000m to 3200m, NZ$126,910, A$324,848, New Zealand Cup, Gr.2, Ballarat Cup, L, ARC Mitchelson Cup, L, AJC Waipari H., ARC Nathans Memorial H., STC Parkroyal Welter H., 2d VRC Provinciale Funerals H., 3d VRC Melbourne Cup, Gr.1, AJC Chairman's H., Gr.3, CJC Gold Cup, Gr.3, Waikato RC FR Bodle Memorial H., L, 4th AJC Sydney Cup, Gr.1, Bendigo Cup, L, STC Orlando Wines Cup, L.
Biko (Standaan). 11 wins at 1200m, 1300m, CJC Avon City Ford H., Otago RC Black Douglas H.-twice, Timaru RC Ken Lane International Holdings H., 3d Timaru S., L.
Jugurtha. 3 wins from 1200m to 2500m, VATC Gay Icarus H., Bill Newton VC H., 2d Yarra Glen RC Yarra Glen Cup, 3d VRC She Magazine H.
Amanda Sue. Winner at 2, ARC Fletcher Insulation H.
(MY) PRANCER (Reindeer). 10 wins from 1200m to 2200m, WRC President's H., L, City of Napier H., Napier Park RC President's H.
Big Hammer (Sobig). 6 wins-4 at 2-from 1200m to 2000m, 3d Greyville Natal Guineas, L.
RANDOM CHANCE (Three Legs). 15 wins from 1200m to 2100m, NZ$328,065, New Zealand Two Thousand Guineas, Gr.1, Southland S.H., Gr.3, Canterbury Gold Cup, Gr.3, Timaru Cup, L, Counties Cup, L, ARC Clifford P., L, CJC Churchill S.H., L, ARC Christmas H., Beaumont RC Ashley Powell Memorial H., 3d New Zealand Derby, Gr.1, Gore Guineas, L, Southland Guineas, L, CJC Churchill S.H., L. Sire. LET ME IN (Ring the Bell). 7 wins from 1400m to 3150m, A$97,870, WATC Winter Cup, Gr.3, Sprite Quality H., 2d WATC Helena Vale Cup, Gr.3, St Leger, Gr.3, Imperial S., L.
HAWKS BAY (Black Hawk). 14 wins from 1000m to 2000m, A$868,380, Murray Bridge Gold Cup, L, 2d MVRC Crystal Mile H., Gr.2, SAJC RA Lee S., Gr.3.